I know, it’s a mouth full. 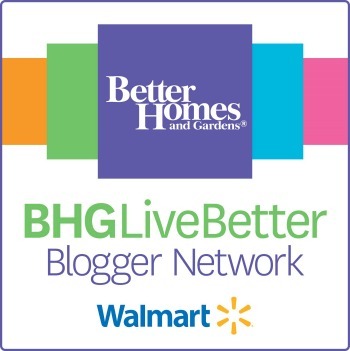 But guys… Better Homes and Gardens is rocking Walmart. 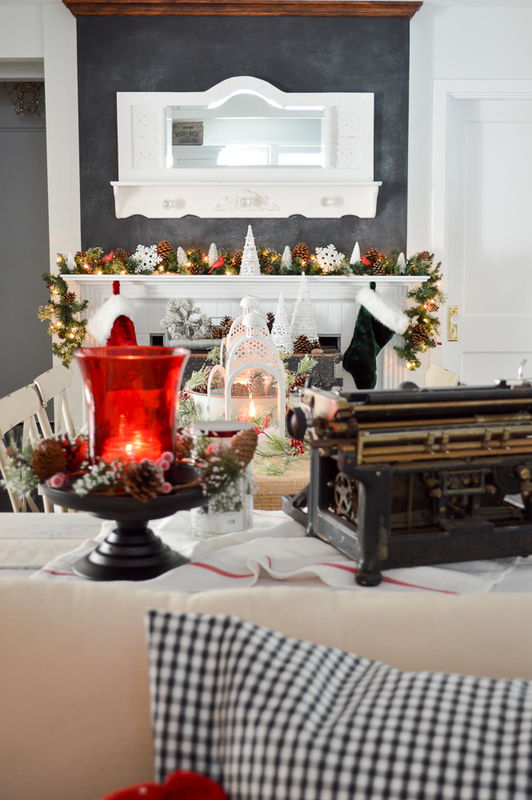 It’s Christmas and my house is feeling so cozy, and the gift ideas are flowing. I mean, it is the hap – happiest season of all… Hey, be glad you can’t hear me. This girl can not sing worth a darn. But I did put on some Christmas tunes and play furniture flip. 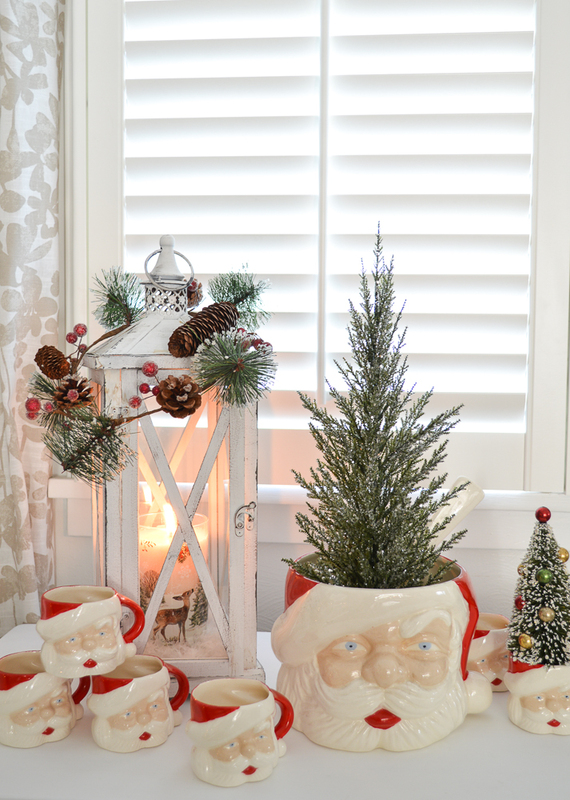 Today, I’m going to share some Cozy Christmas Home + Gift Ideas with Better Homes and Gardens. I’m going to start with how I’m getting our house ready to be warm & welcoming. 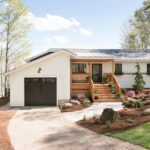 My house will probably look like those display homes you see whenever you are moving house. 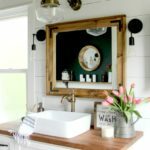 I always like going to websites just to look around and see what’s new with those houses, maybe even get inspired for my decorating, for instance the houses shown on somewhere like jimgarciahomes.com, it will be so cute and amazing that I’ll probably never want to leave. 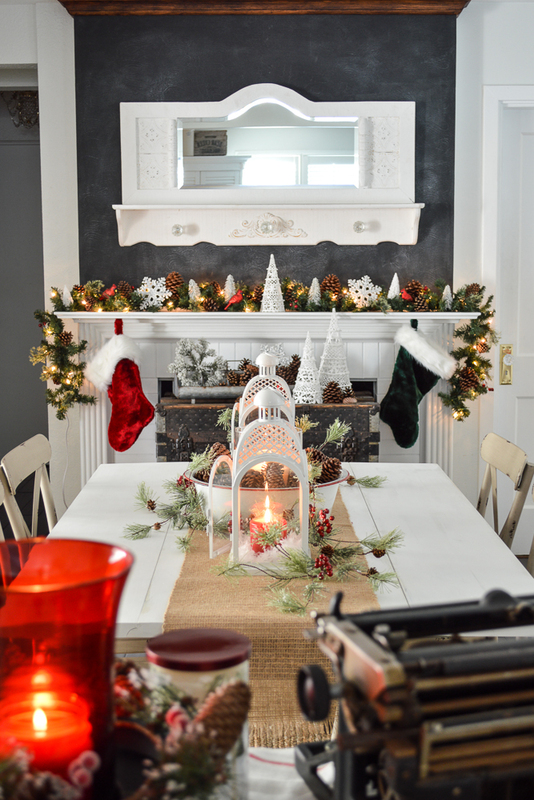 Welcome to our cozy, holiday family meal space. My entry/dining room! Hey, it is what it is. And our house has to work for us and that’s all there is to it. From looking at new homes in richmond hill, ga to moving into the house you chose to be home for your family, you’re house has to work for you. With the big holiday approaching, Austin coming home, and my dad visiting for two weeks. We will be eating family meals together. So I “tiny bit” splurged and ordered 4 brand-new, matching chairs! That actually fit side by side, with room to spare. And look pretty great doing it! I’ll tell you more about them later. 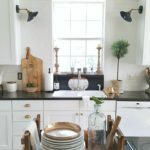 Lord help me, but I’ve determined that I can not stand a dining table in my kitchen! I’ve tried. 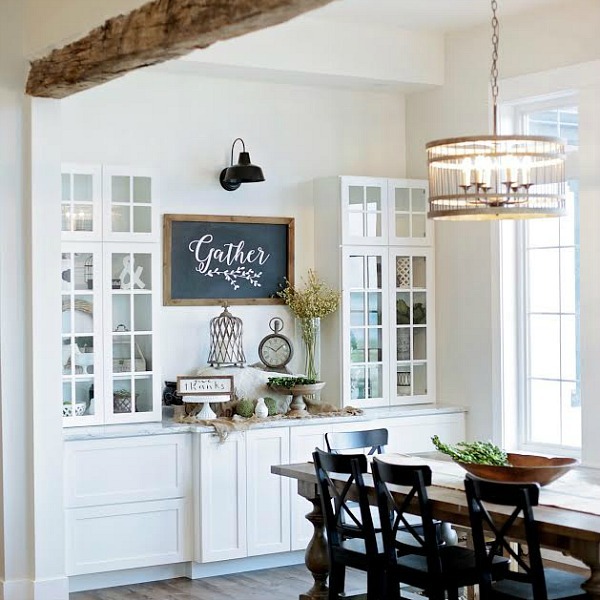 I love the entryway, as an entryway… but until we build a custom table (in our spare time) this works when we actually need to dine. 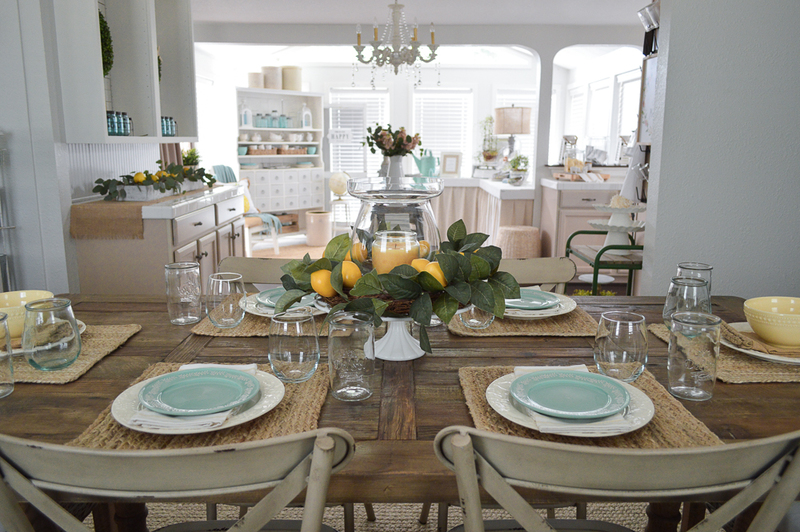 Otherwise there simply is not enough area around the table to be functional in the kitchen, so this is so much better! And funnily enough, I’ve come to really enjoy decorating the table in this larger space. I fell in a little bit of love with it over Autumn. 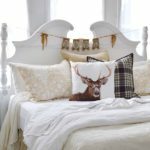 I find that decorating the smaller furnishings in a room with simple decor, in the same style & color family, helps to tie it all together and tell a cohesive story. Without looking too busy. 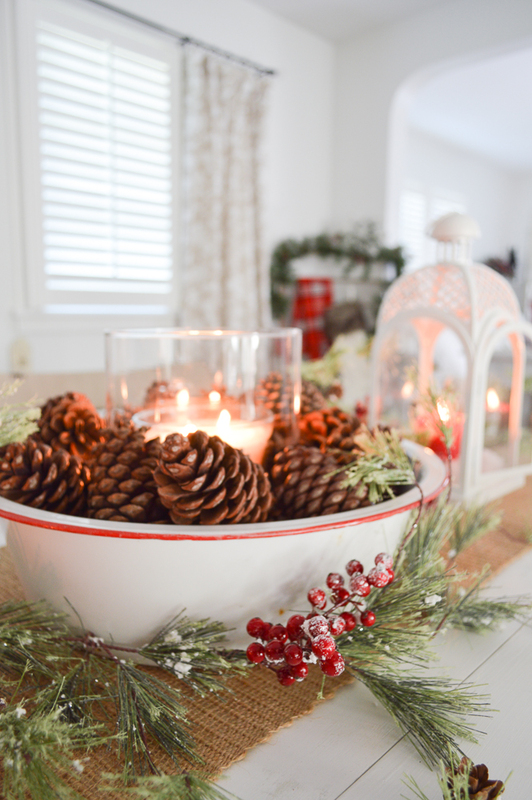 I turned up the holiday glow by adding lots of flickering candles. In addition to the main table, I added some around the perimeter of the room as well! 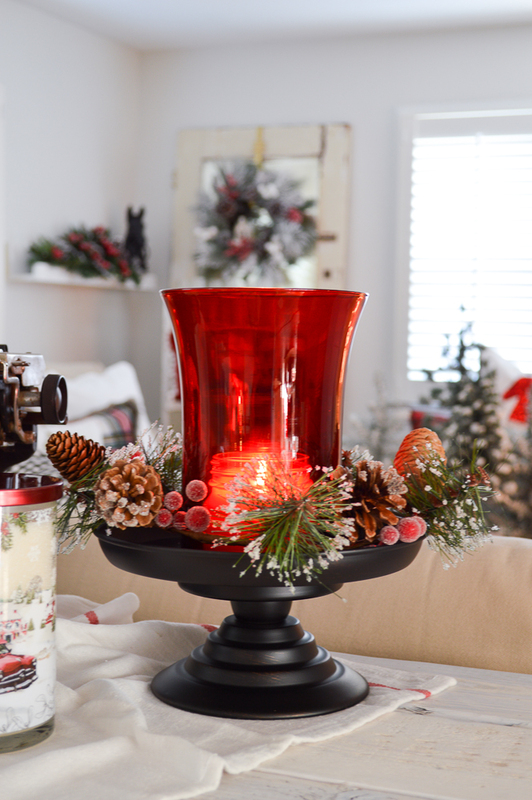 This pretty holiday set comes with the black base, the frosted, mini wreath & the red glass hurricane. I can see this being a decorating staple for years. It’s classic & timeless. I already have an alternative idea for it! There are so many beautiful candle options & yummy smelling scents too! My white metal lanterns are the decor that keeps on giving. I love them no mater the season! 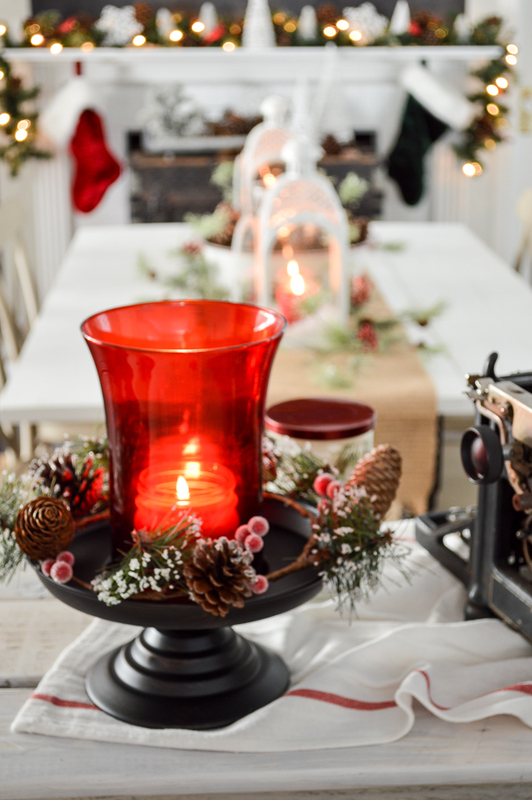 With red candles and snow you are ready for Christmas in a snap. 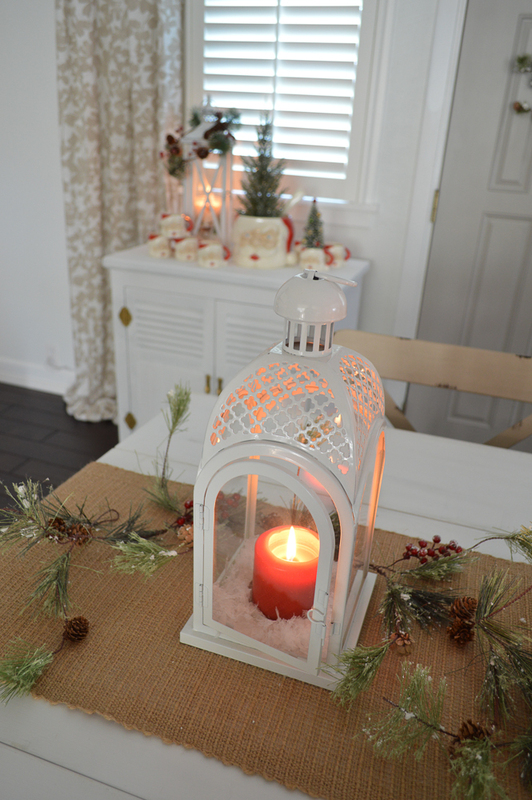 And yes, the frosted wreath on my white wood lantern is exactly the same. What a happy coincidence! 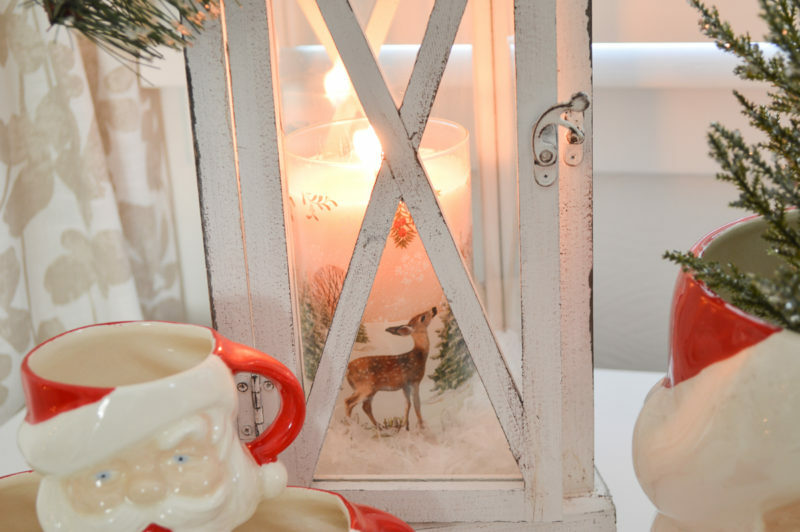 The pretty little doe on this decorator candle is so sweet. Here she is up close. 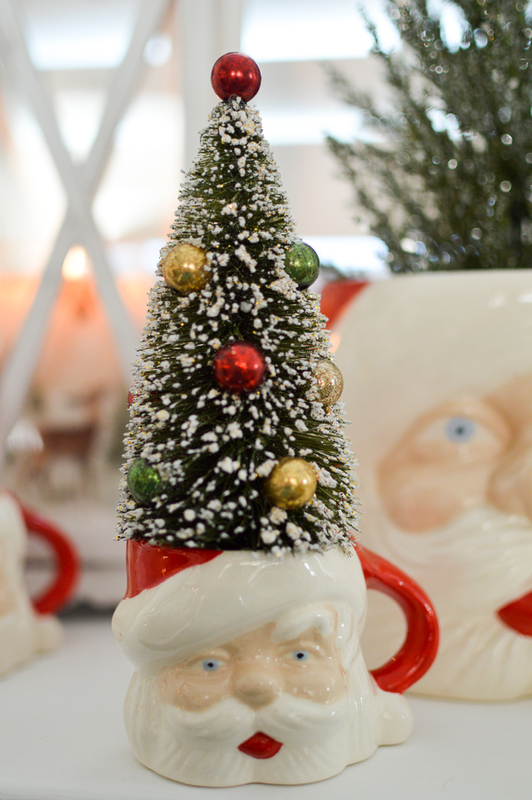 I popped a wee bottle brush tree in one of my vintage Santa mugs, and called this table top, done! I think the big Santa punch bowl might be needing a haircut? The holiday throws are extra gorgeous this year, and they make such lovely gifts! 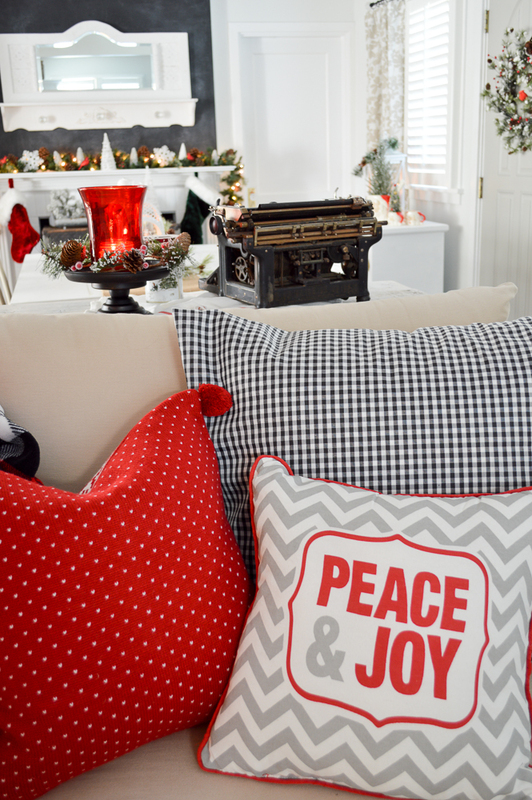 This plush sherpa throw has pretty Poinsettias and comes wrapped in a thick white ribbon. 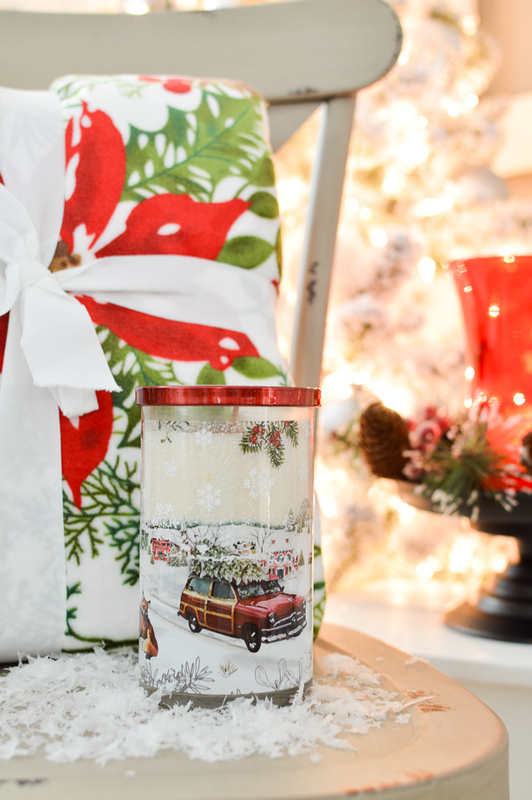 Pair it with one of the holiday candles, and add some cookies or candy, and put it in a basket for the perfect gift! It’s thoughtful, pretty and something anyone would love to receive. 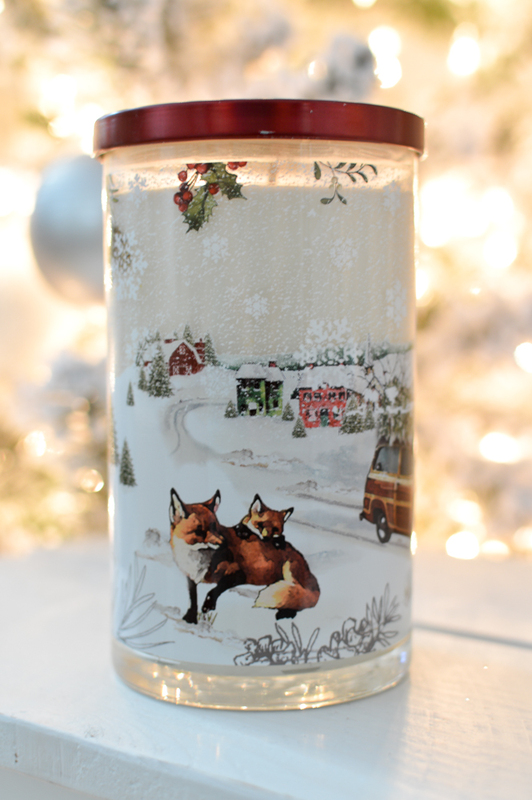 The vintage woody candle also happens to have Foxes on it. So it’s extra cute! 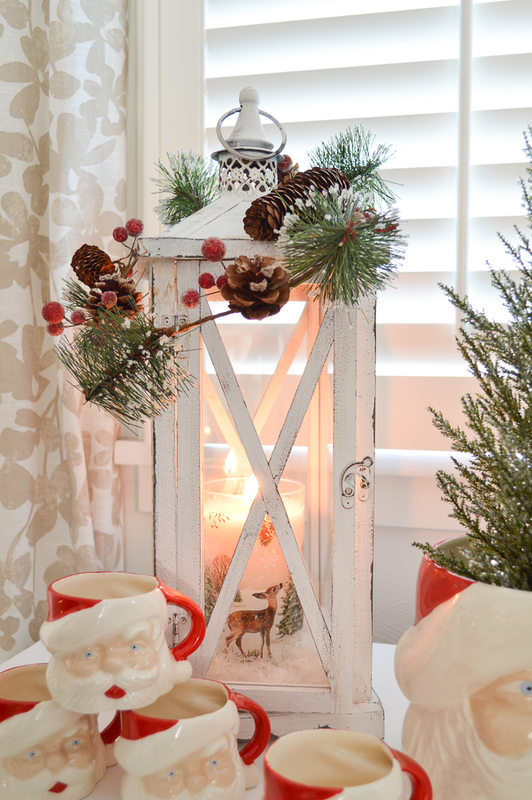 And you saw the Deer and Christmas Tree candle in the lantern earlier. They also come in a variety of scents in each style. Items like this are great to have on hand for last minute or unexpected gift giving too. My dad would love a vintage woody! He grew up surfing and has always wanted one. I can’t afford the real thing, but I can afford a candle, so I’m gifting one to him and it’ll be waiting in his room when he comes to stay. I think the 3-piece set would be beautiful to gift as well, it comes boxed so it would be easy to wrap, and once opened, it’s quickly ready to display and use. I feel like for someone just starting out, it would be a welcome addition to any holiday home. Thank you so much for joining me today! If you like what I shared today, please make sure you are following me on Facebook. I’ll try to do a Facebook live and share the pretty blanket and candle options up close with you soon! 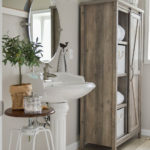 Better Homes and Gardens Collin Distressed White Dining Chair (2) Two for $99.00 – So about my chairs. They were ordered online at Walmart.com and were delivered to my door. They were so well packed. Everything arrived perfect. They had to be put together, but it was not hard at all, and I did it myself. Two one night, and the next two the following morning. I shared the process on Instagram, in the live “story” function. Thank you again for your support! 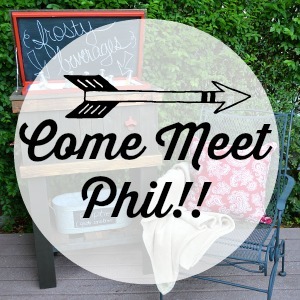 I very much enjoy sharing my Better Homes and Gardens finds I discover at Walmart with you! It’s great to share a brand that is well made, and most everyone can afford. 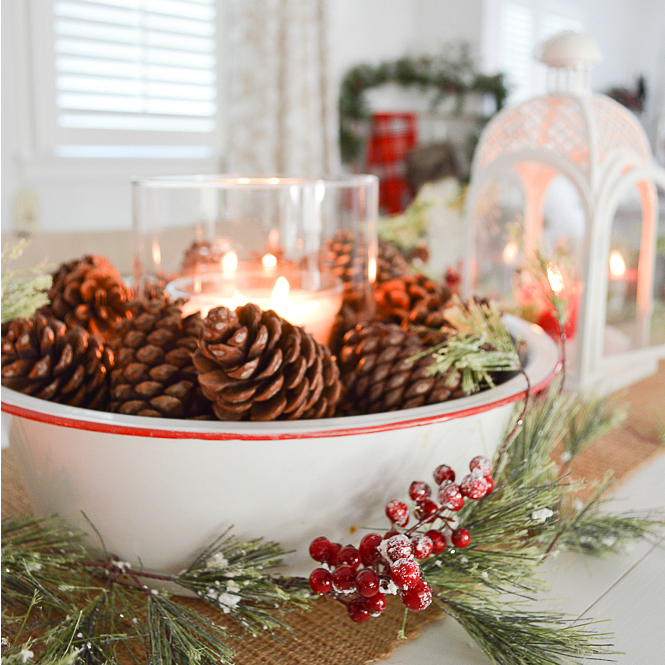 I hope you saw something that might work for you in your home, or as a gift. Merry Christmas. They must be in-store only. 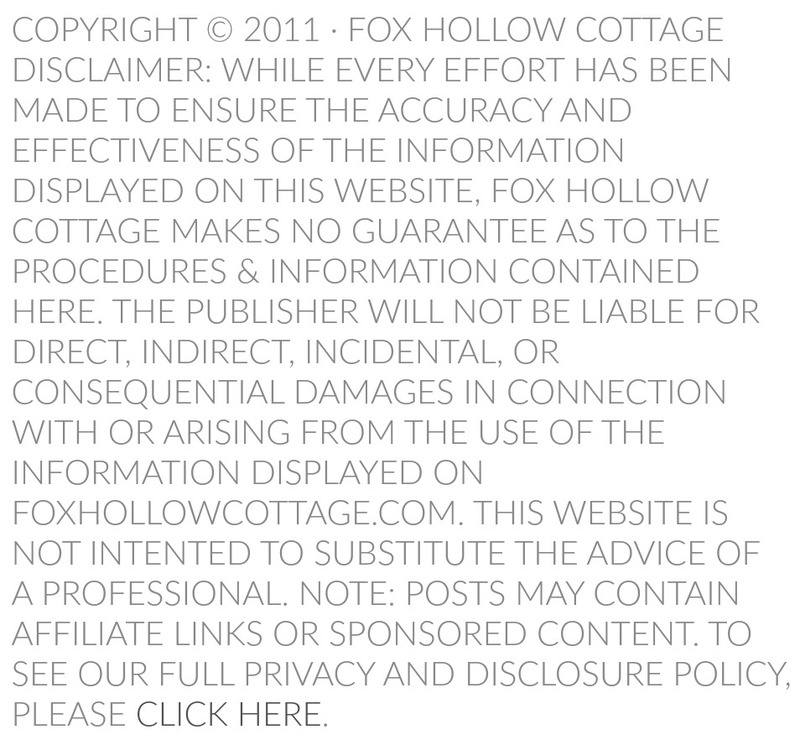 I scoured the site to share the link with no luck. I know I should pick up a few more, I’m going to be sorry. Ha! I got so lucky to find that, in that shape. I was so happy! My dad had the mugs growing up, so it’ll be great to sue them when he is here. Merry Christmas!! Your home might be working hard for you right now Shabbon, but it is so, so perfect. I’ve had big homes and I’ve had small homes and I’ll always say that a smaller home is cosier and your home couldn’t be lovelier. Love how you’ve tied it all together with the colour scheme too. Gorgeous new chairs by-the-way. I hope that all four of you have the merriest of Christmases and make lots of wonderful memories together! 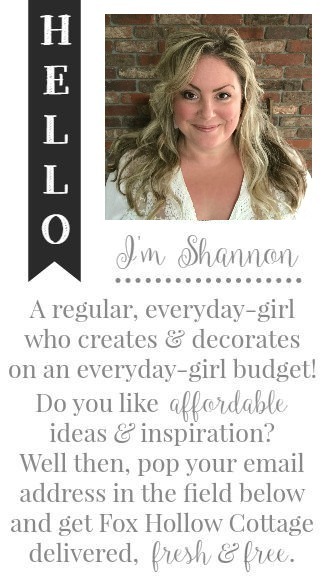 Shannon, there is so much to love with your home right now…but what I love most…it just defines ‘cozy’. I can picture you all having wonderful Christmas around that table and enjoying each other’s company. And I love those white lanterns! Think I may need to accidentally find one of those. Thank you so much! We will have a full Christmas breakfast around it, that is our tradition. You could accidentally order one online… and not even leave the house. haha. Awww, your gift for your Daddy made me tear up! So blessed to have your Dad with you, enjoy! Your cozy cottage is so beautiful, I adore how you seem to wave a magic wand and it’s like visiting a new beautiful cottage every season! LOVE! PS have you heard that Westworld is not on again until 2018!!!! UGH! It’ll be a nice holiday though. He’s here for 2 weeks, so lots of movie dates and eating out and ? Oh gosh, I sure wish. It’s so nice to hear that is how someone else sees it, I think we get a bit disenchanted with our own style after seeing everything out there. AND… I did hear that. What the heck? An entire year is a looong time to leave people hanging. Not cool. Hello, I love your home – so warm and inviting. 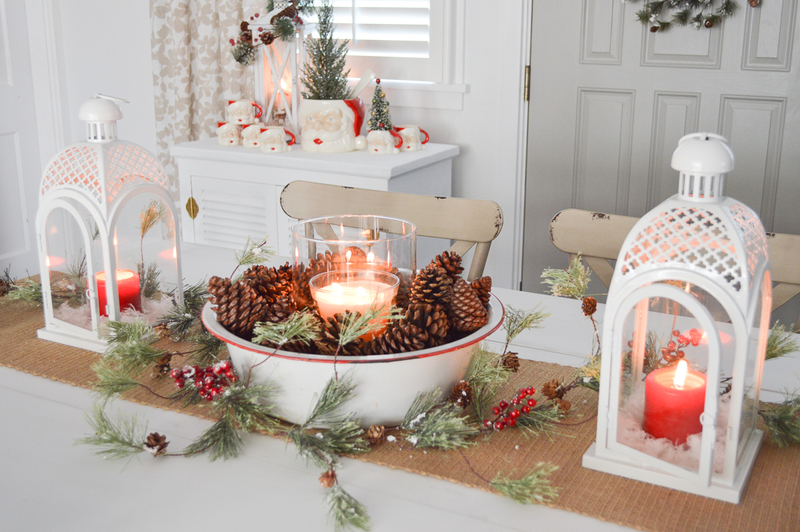 I’ve been searching online for the BH&G holiday decorator candle set and can’t find it anywhere. 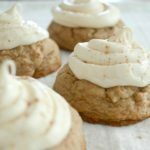 Can you help or post a link? Wishing you & your family a wonderful Christmas season. Lulu, I looked but it appears to be an in-store purchase only. You can’t buy it online. Thanks so much, I’ll have to go look – adorable. 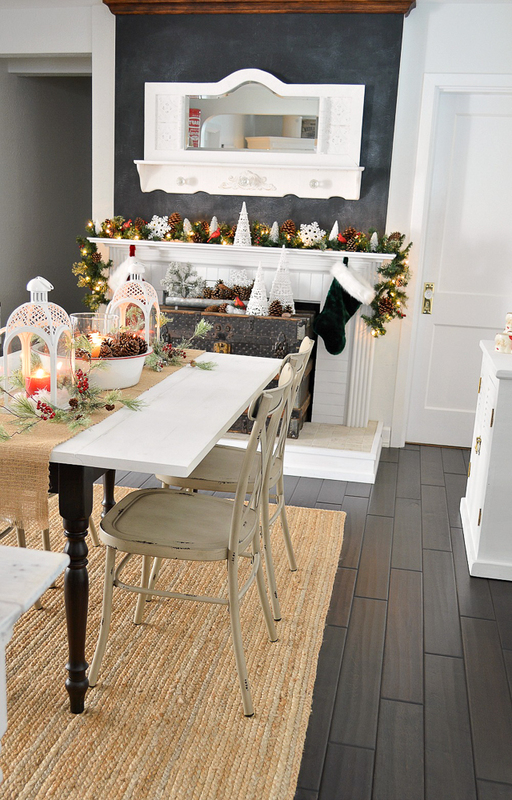 Shannon tour home exudes comfort and beauty for the holiday season. I love that candle. 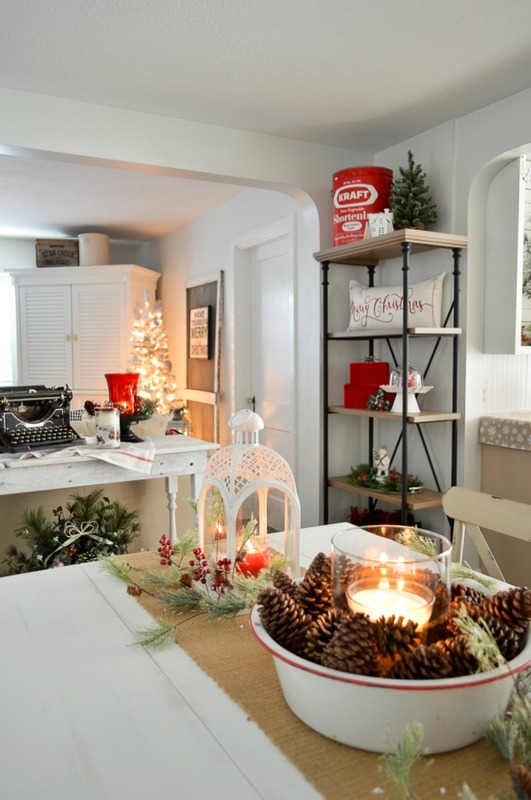 Such a gorgeous and cozy holiday retreat! Gorgeous holiday home, friend! I love your dining table back in this spot, and your new chairs are awesome! 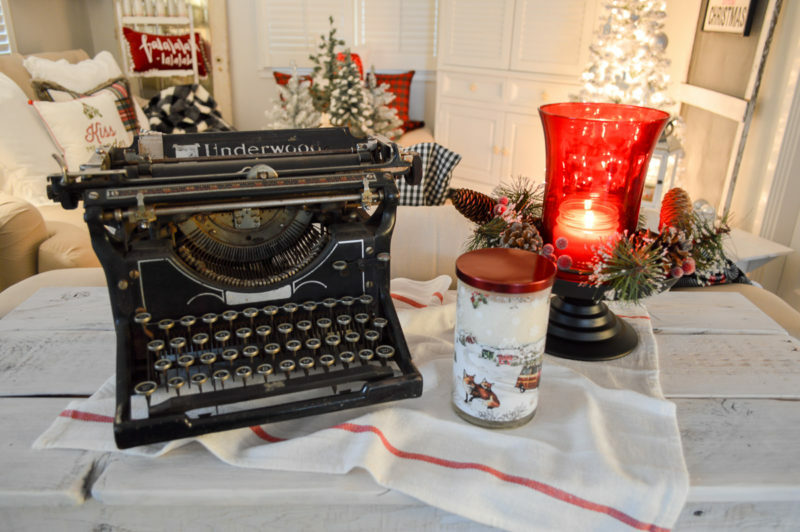 Your BHG pieces are displayed perfectly … thanks for the great gift ideas! I look forward to seeing more! Your home is so beautiful and inviting, one of these days I’m coming over!! Love the chairs 🙂 and everything little detail! You will come visit soon, I predict it. Come in the Summer when you are cooking in the humidity there in Alabama. Thanks Karrie!! It really works best for us and was a must. Oh a piano would definitely be a challenge, I’m glad you found something that worked for you. Happy Holidays to You!! Went thru it all very slowly so I could savor it all! Love it! You’re right, the throws are very beautiful this year. I love the BH&G woody plates I bought this year! 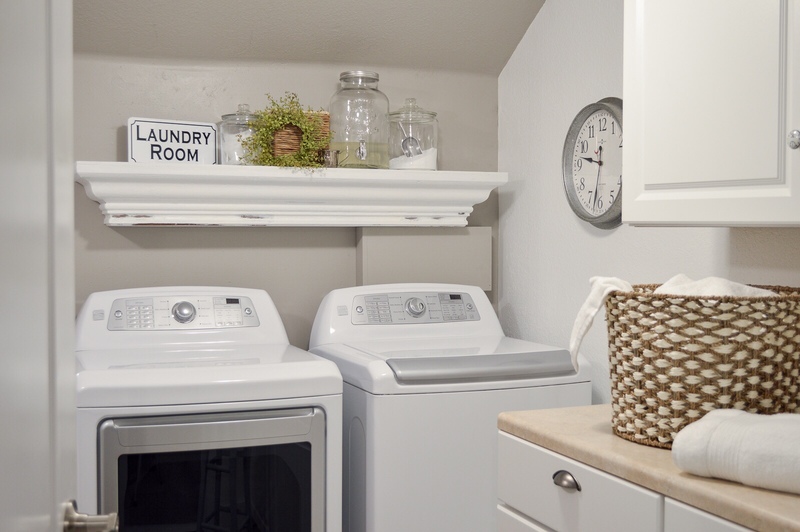 My first apt was very small – no dining room or eat in kitchen. 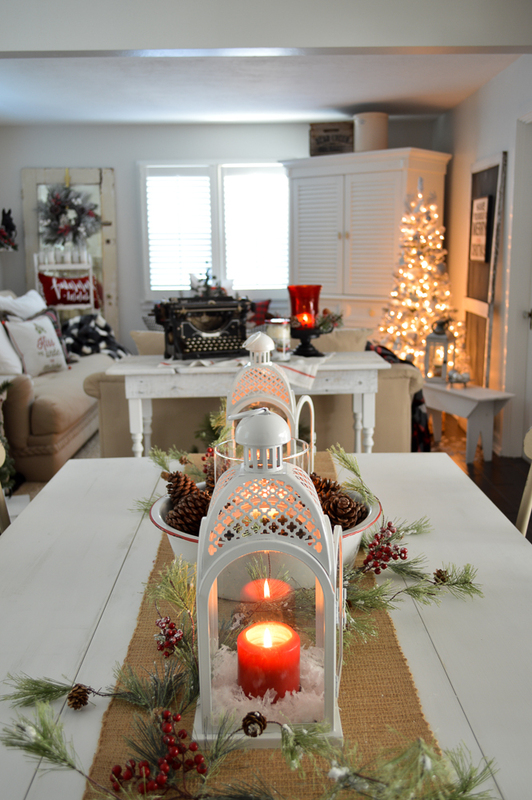 I pulled two card tables in front of the entryway and set a beautiful Christmas table that extended down my hallway. I have fond memories of the laughter around that table and after all, that’s what it’s all about! Sending you Peace and Joy and Love! Thank you so much Terri!! Oh my gosh, yes. The throws are so fluffy and pretty. I bought several of those and the jar candles. I saw the woody plates too, but sometimes I actually do tell myself “no” and I didn’t get them. haha. Our first Thanksgiving we hosted, I borrowed long folding tables from work and made a giant square table. I think we had 16 for my first every Thanksgiving! Pressure. lol – It was great though. 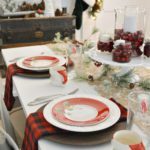 Sharing our Cozy Christmas Home, New Farmhouse Dining Chairs, and Great Gift Ideas - All with Better Homes and Gardens at Walmart!